So I might have mentioned a time or two lately that I’ve got a story in Rhonda Parrish’s Magical Menageries anthology Equus. Starting today and running until the release date in July, we’re doing a character deathmatch, pitting our characters against each other in a battle to the last equine standing. Let me introduce you to my character, Aenbharr of Manannán. I’ve borrowed a bit from the Irish Mythological Cycle for my character. 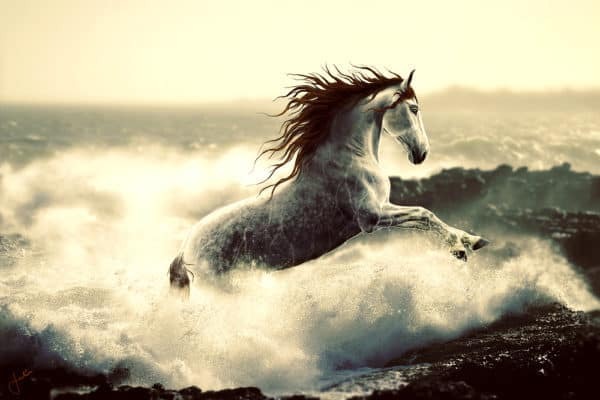 Aenbharr of the Flowing Mane was loaned by the sea god Manannán mac Lir to Irish hero Lugh Longhand and could run across land or water. My version of Aenbharr has this history, but she’s also an each uisge, an Irish water-horse that comes out of the sea, especially in November, and devours cattle. If a mortal climbs on the back of the each uisge in view of the sea, the each uisge gallops into the sea and devours the human, whose liver later washes ashore. So. All of this is to get you rooting for Aenbharr because she’s up against another equine competitor this week–and not just any character, but Sandra Wickham’s stabby unicorn character. What a great opening round for our deathmatch! Here’s how our character deathmatch works. 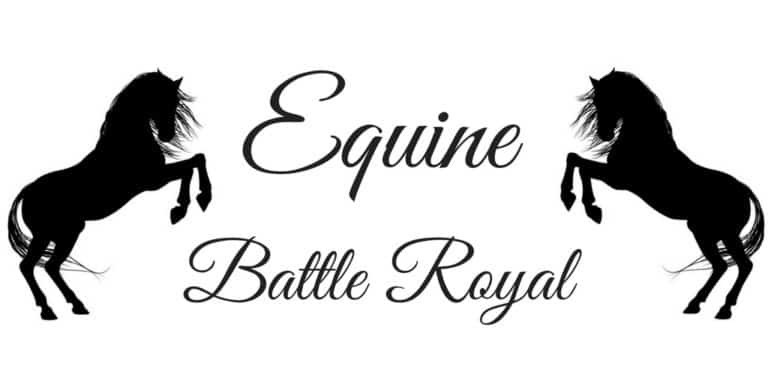 Every Tuesday we’ll have a new round of the Equus Battle Royale. People can vote for their favorite equine character (Aenbharr!) by commenting on Rhonda’s blog post for the round. On Wednesday, Thursday, and Friday, I’ll roll a d20 and steal that number of votes from my opponent. Voting closes on Sunday at midnight MST, and the winner is announced on Monday. So go view the stats over at Rhonda’s blog, comment with your vote, and share the #EquusFight far and wide!